A few weeks ago, I attended a leisure classat Louisiana Culinary Institute (LCI), compliments of Visit Baton Rouge (through a Twitter trivia game) and LCI. The class was about bread baking, which had me excited, since bread is one of those things I&apos;m slowly getting more confident with. Our class was small (a group of 8 people), which was wonderful, because if you struggled with something, the chef definitely had time to help you out and address any questions you may have. We each had our own little station to work on, along with an apron, and some dough that already went through the first rise. This was completely understandable, because dough can take an hour or so to rise the first time, and the class was a little over two hours total. 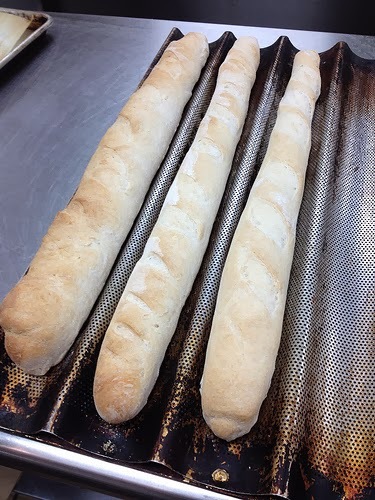 The general outline for the class was that we were making baguettes for this class, as well as flatbread pizzas for us to take home and enjoy. 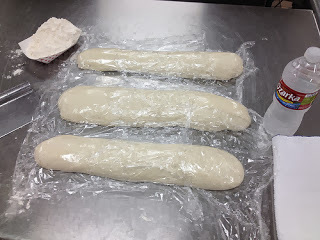 For the class, the first thing we did was separate our dough into 3 equal logs (baguettes). Since the dough had to rise one more time, instead of just watching dough rise, we took the opportunity to learn how to make the dough ourselves. She emphasized baking by weight, which is something I&apos;ve recently started doing more and more of, since flour can settle (and a cup of settled flour vs. a cup of non-settled flour can be very different amounts). One of the important things she showed us was how to feel to see if our dough was too sticky or just right after the first kneading. After that, we went back to our stations, and learned how to form our baguettes. I love this step, because it&apos;s almost a bit therapeutic working with bread dough. 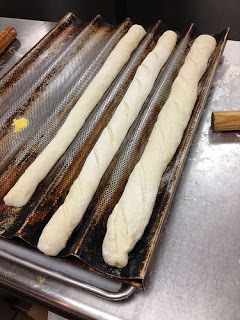 It&apos;s also so gratifying to watch something as simple as flour/water (and some other key ingredients) go from a squishy dough to a perfect baguette. 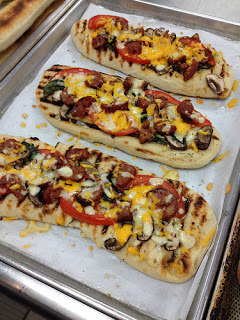 They proofed in the oven one more time, and during that time, we prepped our flatbread pizza dough for grilling. Yes, we GRILLED flatbread (how neat is that?). Now, it got a little tricky at this point, because we were not only baking baguettes in the oven (which we had to watch for doneness), we also had to grill our flatbreads/top them and bake the toppings. Thankfully, the chef and her assistant were there to assist us. While it wasn&apos;t really rushed, we were a little busy at this point, so it was nice that there was so much help available during this time. After the class was over, we each had 3 baguettes to take home, along with some delicious flatbread pizzas. As you can see, my husband and I had a great dinner that evening. :-) We were told that the baguettes were only good for 8 hours (you could freeze the baguettes if you wanted, but freezer space is a valuable commodity in my kitchen lately). So, I ended up making some great bread pudding out of the leftover baguettes the next day. All in all, I would say this class was great! It&apos;s perfect for anyone from beginner level to someone who is an experienced home cook who just wants to learn a little more about a certain type of cooking/baking application. The staff is there to help you out when needed, and you end up taking everything you made home! If you&apos;re looking for a gift for someone who loves to cook (and probably has every kitchen related tool they&apos;d ever need or want), a leisure class at LCI would be a great option! Thanks again to Louisiana Culinary Institute and Visit BatonRouge for the generous Twitter prize! 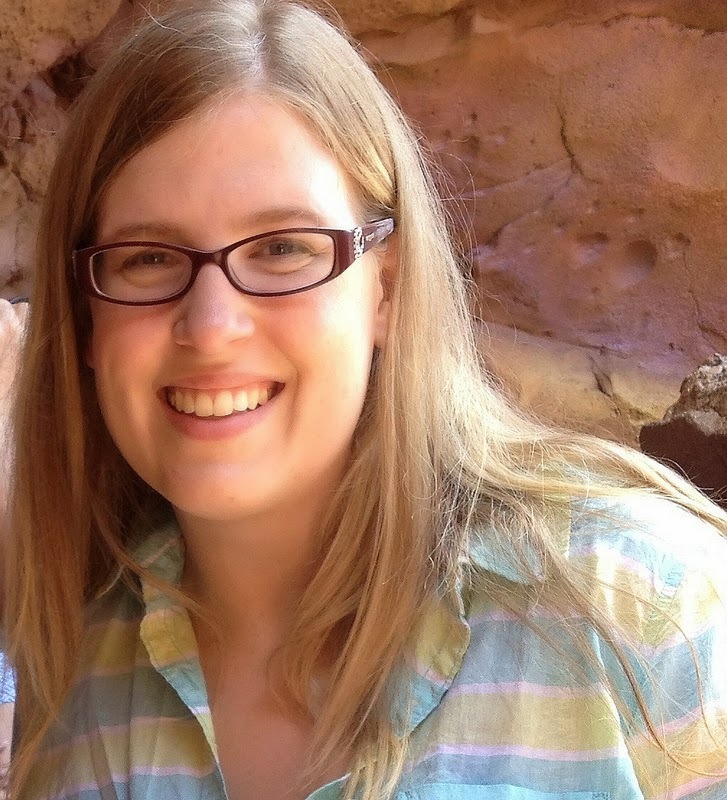 Amy is a food blogger, who lives in the Baton Rouge area. She loves sharing recipes that she and her husband enjoy, as well as writing about topics varying from crafts to weight loss. You can find her blog here, and follow her on Twitter and Facebook.